ALL of the Graded crystals for sale on our site - HerkimerCrystalsOnline.com are in their raw, or natural form. 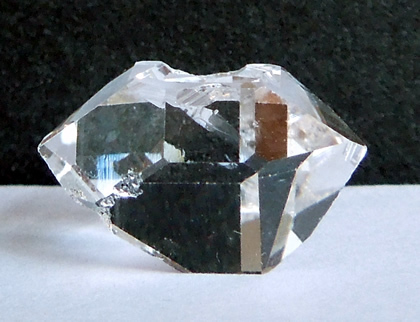 This beautiful A grade Herkimer quartz specimen is no different. The first thing noticed in the photos is the large well defined key mark. 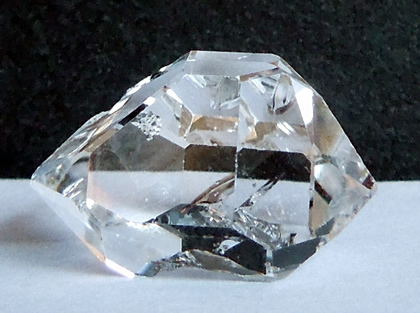 It produces a glittery look to the crystal. A key mark is recognized by a geometric indentation that is three or six-sided. It becomes more narrow as it steps into the crystal. It's an area where crystals grew against each other, at different times. 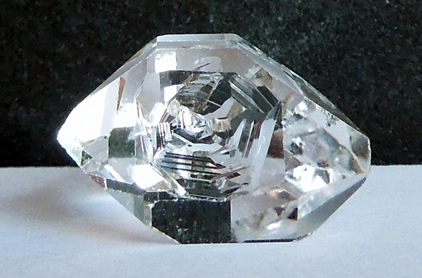 The keyed crystal grew at a later date, around the original crystal, the step-like pattern indicating growth and separation. DT's, (double termination tips) are sharp and complete. 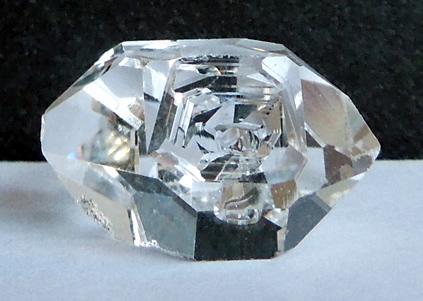 Any raw Herkimer quartz crystals - grades AA - B, should have two terminated points. A small contact mark is seen in the photographs, not so much with the naked eye. Internally 'all but' flawless. A small mirror-like like imprint adds interest. Clarity is awesome. 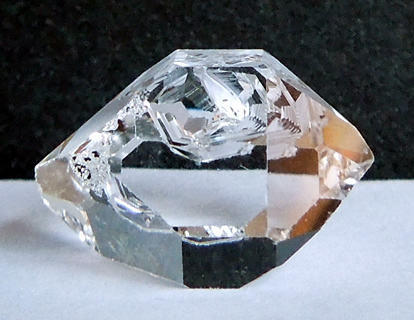 This is a bright, water clear raw Herkimer quartz crystal. Photographs represent it well. 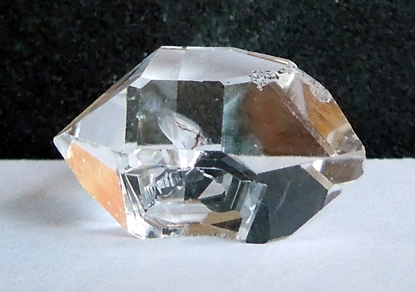 A grade raw Herkimer quartz crystal.